The last time I posted I didn’t intend to go two years without blogging. Life has gotten in the way, big time. I had a second baby after an exhausting pregnancy. My job as a reporter became even more intense. Cooking and baking remained an outlet, but there was less time to do it, let alone write about it. 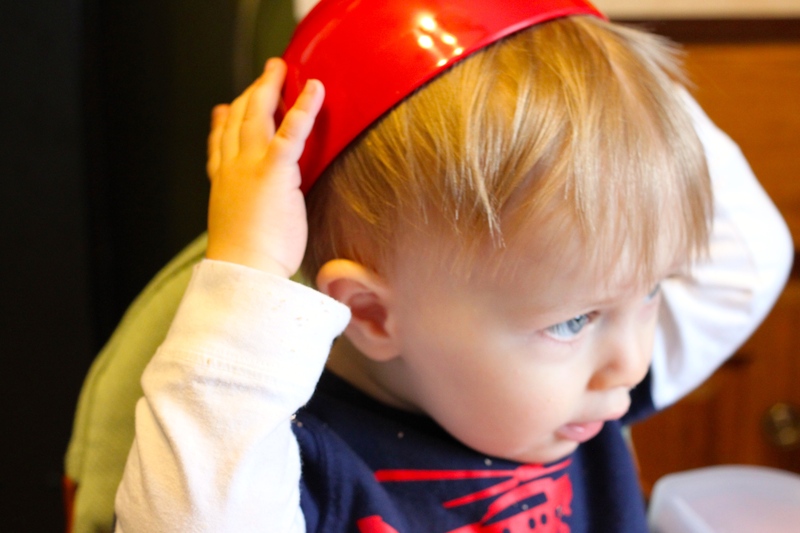 But today, as the four of us hunkered down during a snowstorm in St. Louis, I took the two littles into the kitchen. It felt like the perfect time to come out of our cocoon a bit more and return to Garlic Shoots. Much of the credit goes to my friend Kim McGuire, who linked to Turkish Lentil Soup the other day on Facebook. It made me miss doing this. So I got out the flour, the buttermilk, the honey, the bowls and the spatula. I changed the lens on my camera. 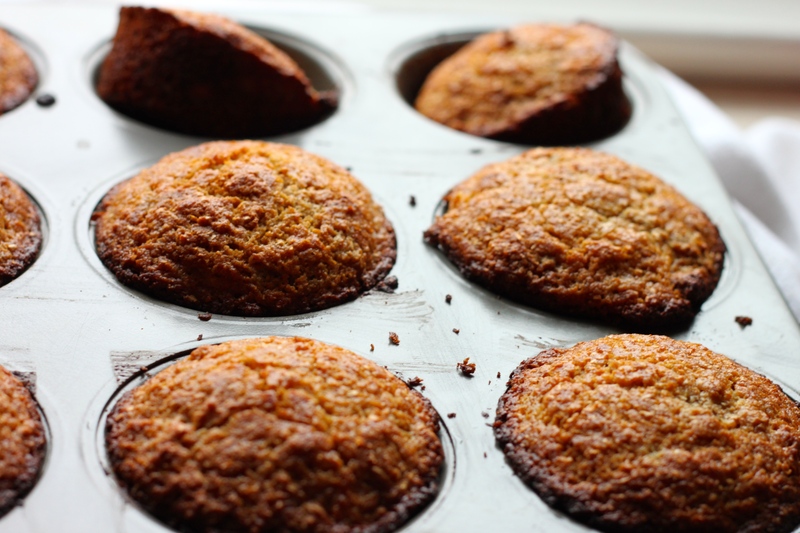 I turned toward an old favorite — these bran muffins by Heidi Swanson. 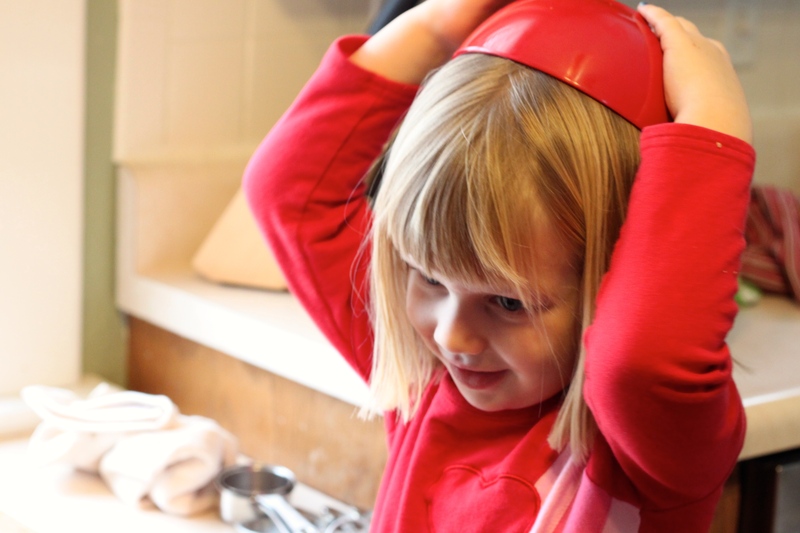 They come from her second cookbook — Super Natural Every Day, which I love love love. These muffins have become a winter staple for us. They’re perfect for January — stark and simple, but soulful. As they bake, they make the house smell like butter and honey. They smell like warmth. During a blizzard, that’s exactly what we needed. And despite their name, these muffins aren’t boring. They hold their own. The fact that they’re made up of whole wheat flour, the wheat bran and flakes make them a nice antidote to the holidays. The other major plus is that they’re easy and quick. When you’ve these two as sous chefs, that’s pretty important. Preheat oven to 400 degrees F with rack in the middle of the oven. Butter a standard 12-cup muffin pan. In a large bowl, whisk the eggs, buttermilk, melted butter, and maple syrup (or honey). Sprinkle the bran and cereal across the top, stir, and allow the mixture to sit for 5 minutes. In a separate small bowl, whisk the flour, sugar, baking soda, baking powder, and salt. Sprinkle the dry ingredients over the top of the wet and stir until just combined. Immediately fill each muffin cup three-quarters full. Bake for 18-22 minutes, until the edges of the muffins begin to brown and the tops have set. Let cool for 5 minutes in the pan, then turn the muffins out of the pan to cool completely on a wire rack. We’re two days into the New Year and I’m already not doing well on my resolutions. I didn’t go to the gym yesterday or today (well, today I tried but they closed early). I haven’t written in my journal. I haven’t tackled the basement. And while standing in the check-out line at Target, I bought gummy bears . Resolutions aside, 2011 is settling in quite nicely. I’ve spent the weekend organizing my closet, playing with Gabi, dabbling with the camera lens I got for Christmas and the yogurt maker Jeff gave me. It’s always nice when the stress of the holidays is over. Winter is here for a while. 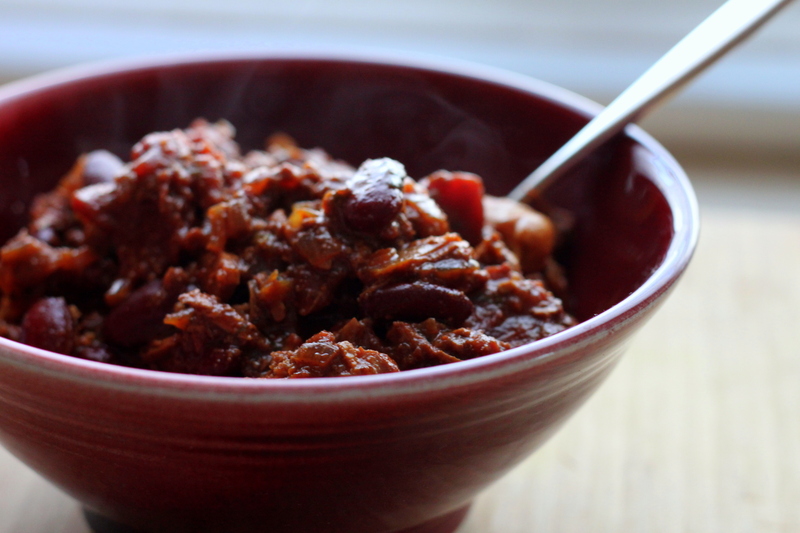 It’s time to revisit some winter recipes — like this cashew chicken chili.